Justin O'Brien enlisted in the army in May 1940 – joining the 2/5 Australian General Hospital (AGH) as a medical orderly – and departed Sydney that October bound for the Middle East. In April 1941, following the German invasion, the 2/5 AGH was deployed to Greece. After the fall of Crete, the division was captured and taken to Kokkinia, above Athens, where O'Brien witnessed the appalling brutality of war. In December 1941 he was transported by cattle train across Europe to Stalag XXA at Toruń (Thorn) in Poland. At the camp O'Brien joined the theatre troupe and set up an art class, where his students drew and painted one another. 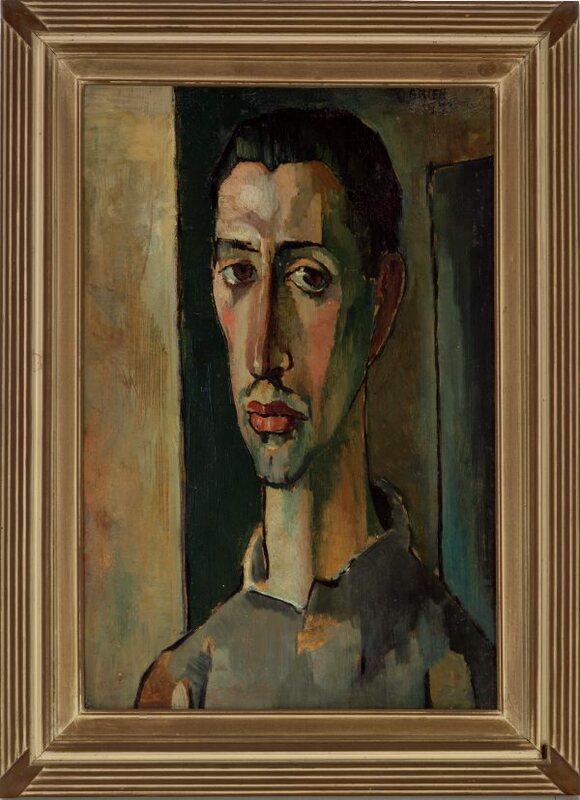 Fellow POWs included the painters Jesse Martin and Austen Deans, with whom he studied work by Post-Impressionist masters through books available in the camp's library. 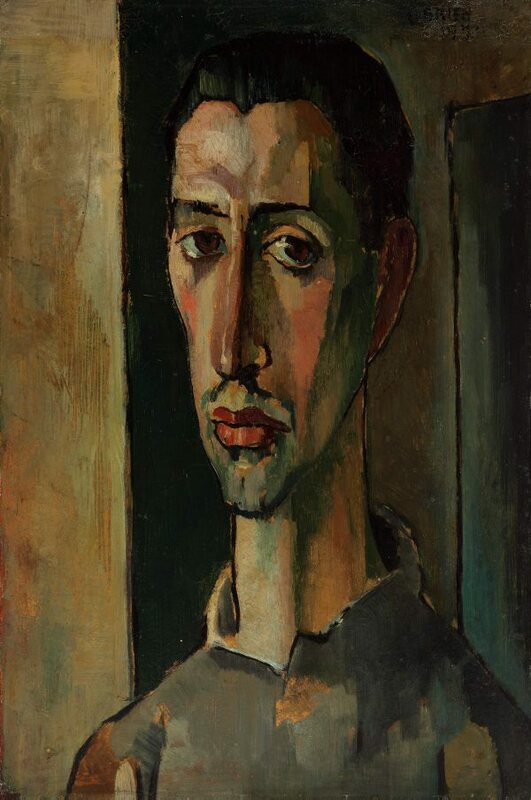 'A Spaniard', was painted during O'Brien's internment in Poland, with the lessons of Cezanne and Van Gogh firmly established through his use of broken colour and impasto brushwork. Signed and dated u.r. corner, black oil "O'BRIEN/ 1943". Paul Haefliger, The Sydney Morning Herald , ‘Repatriated war prisoners’ art’, pg. 10, Sydney, 01 Mar 1944, 10. Review of 'An exhibition of paintings and drawings by Jesse Martin and Justin O’Brien', Macquarie Galleries, 1944. Renée Porter, Margaret Olley: painter, peer, mentor, muse , 'Margaret Olley: a celebration of life in paint', pg. 8-36, The Rocks, 2017, 38, 29 (colour illus. ), 111. Natalie Wilson, Justin O'Brien: the sacred music of colour , 'Justin O'Brien & the art of transfiguration', pg. 23-156, Sydney, 2010, 29, 35, (colour illus. ), 157.